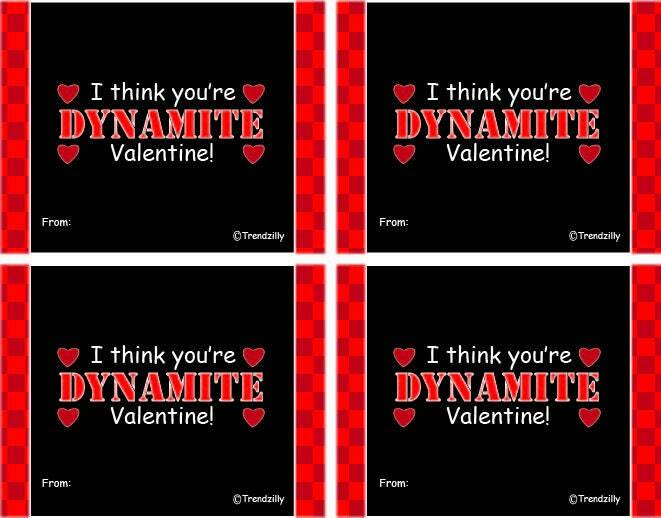 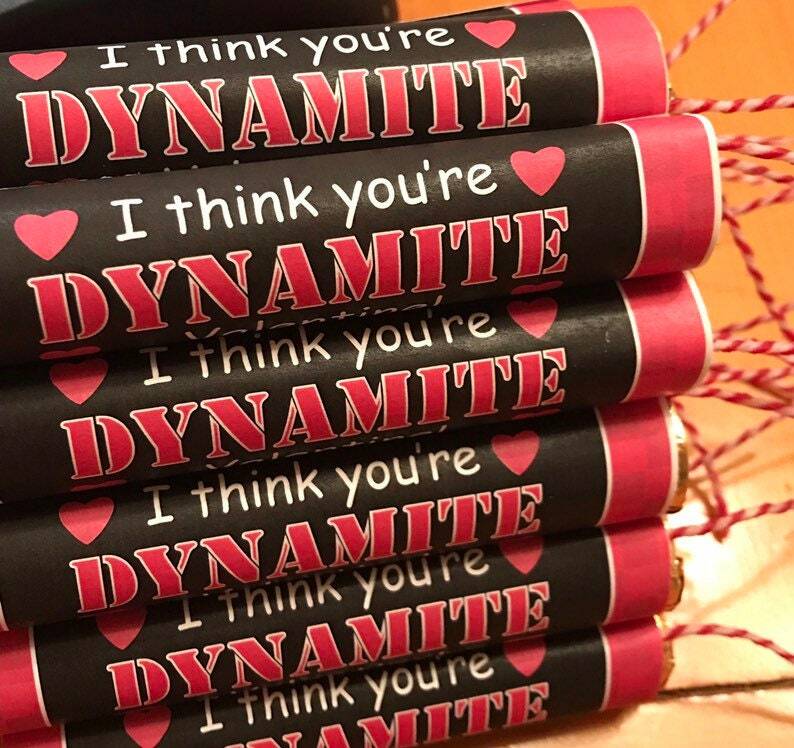 This is a printable download of Dynamite valentine labels for Rolos Candy. 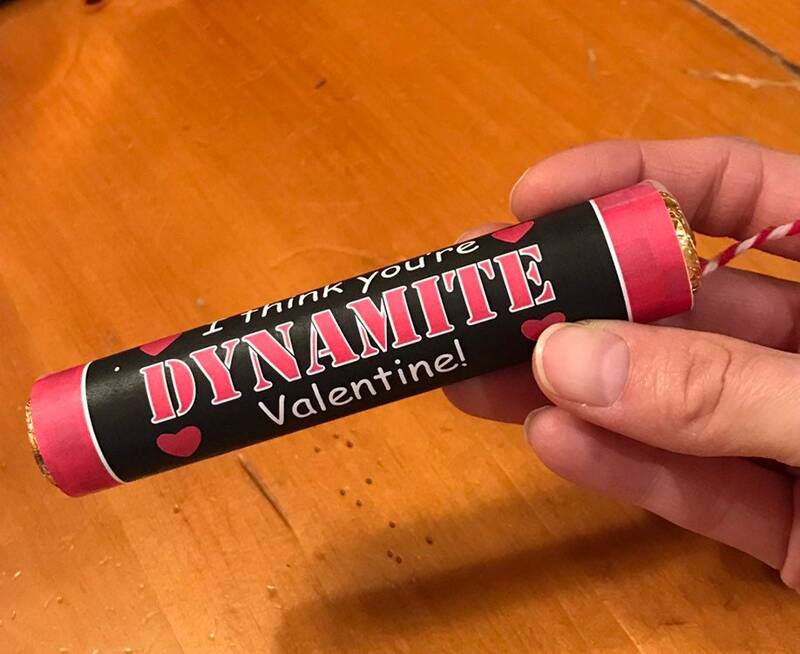 Your kids will have fun making these. 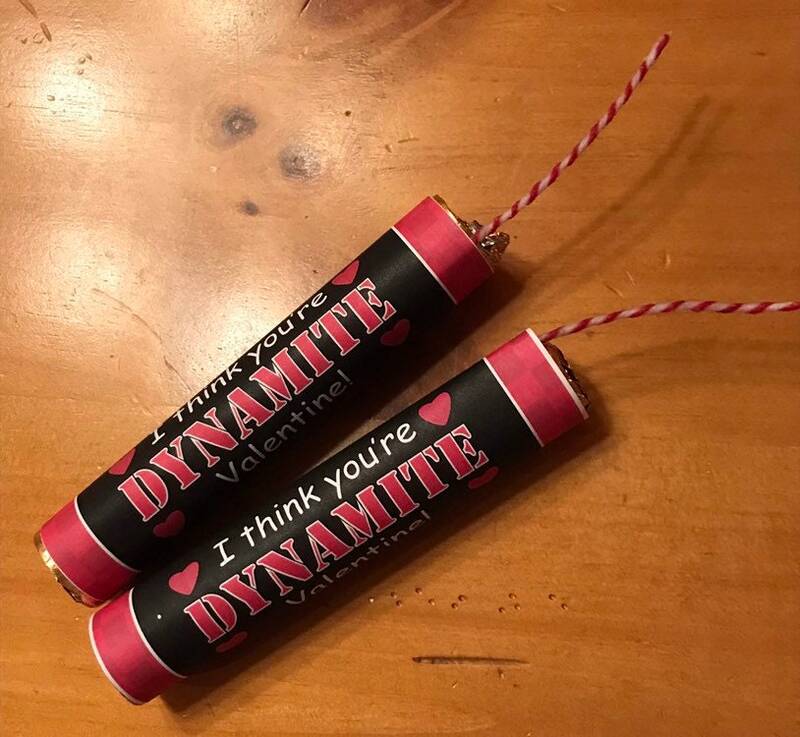 Print on plain printer paper cut out, attach a short piece of string or twine for the wick and wrap with label. 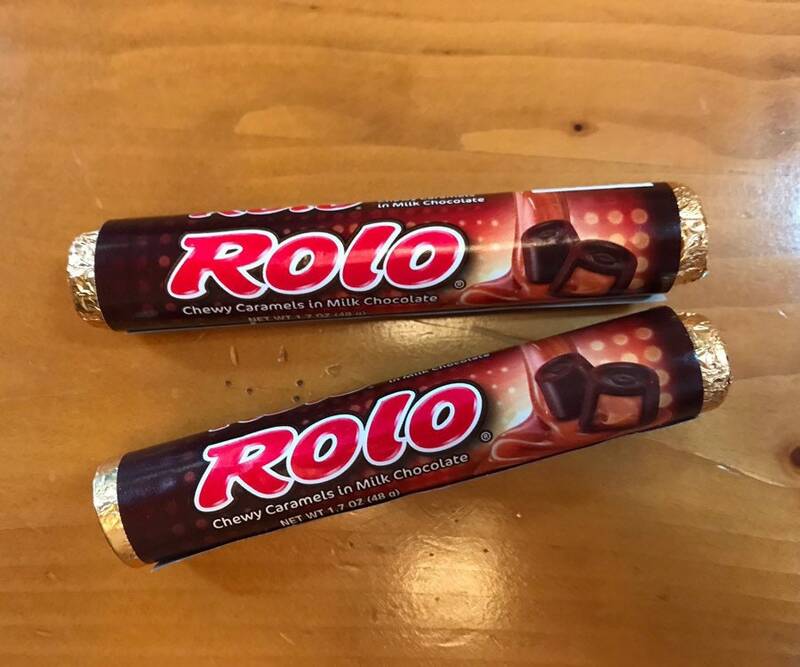 -Please note these labels are made to fit Rolo candy.